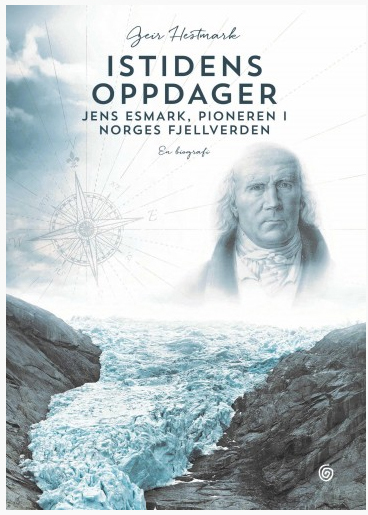 Jens Esmark is the great pioneer in the exploration of Norway’s mountain world in early 19th century, and this is the definitive story of his life, his expeditions, mountain ascents and glacier crossings. Not the least the book traces the paths to his epochal discovery of ice ages, the most dramatic climate changes on Earth. As Esmark’s supporters or opponents we meet a rich gallery of Norwegian and foreign students and colleagues. The book is compulsory reading for all mountain hikers and nature enthusiasts, and everyone with an interest in Norwegian and European cultural history. The book is nominated to best non-fiction book in Norway since 2000, one out of ten. Geir Hestmark (b. 1958) graduated in both philosophy and natural science, and is currently a professor at the University of Oslo and a Fellow of the Norwegian Academy of Science. He has contributed to Thinkers of the West (1994), Norwegian History of Non-Fiction Literature (1998), Norwegian History of Ideas (2002), and Norwegian Polar History (2004). For his biography of Waldemar C. Brøgger, Science and Nation he received the Freedom of Speech Honors Prize in 2000.